Pixie Piper loved adventures. She craved them with every pore in her skin. Sadly, the day Pixie was born her parents fell quite heavily under the spell of parental “concern” and poor little Pixie was left with little to do that wouldn’t worry or upset them. A bit of a difficult situation in which to have an adventure; so she consoled herself in books, stories and movies. Until one day she gets a visit from a strange old man in a fuzzy suit: Her fairy godfather! He promises to take her on a wild adventure, and make her dreams come true. After all, that is what god fairies do. 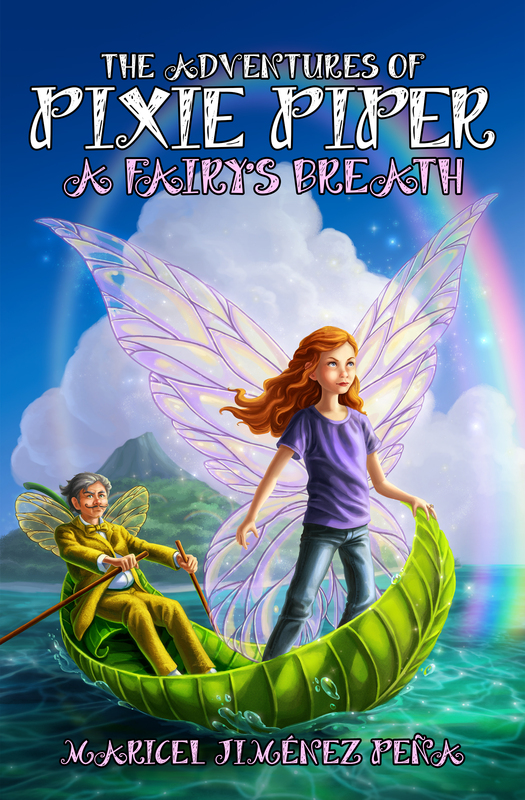 Pixie discovers she is a fairy herself and travels to the world of fairies, but what starts as a vacation in a magical land soon turns into a quest to save Pixie’s mother, herself, and the entire Isle of Dahna from an evil pair of winter fairies. I would all be a little easier if she could get her wings to work. But as Pixie soon learns, being a fairy isn’t all about pixie dust!